The US favourite candidate for the prime ministership Haider Abadi lost his last chance to renew his mandate for a second term when riots caused arson around the southern city of Basra and burned down the walls of the Iranian consulate in the city. While the inhabitants demonstrated for their justified demands (fresh water, electricity, job opportunities and infrastructure), sponsored groups with different agendas mixed with the crowds and managed to burn down offices, ambulances, a government building and school associated with al-Hashd al-Shaabi and other anti-US political groups. This mob behaviour forced Sayyed Moqtada al-Sadr, leader of 54 MPs, to drop his political partner Abadi and to put an end to his political carrier. Moqtada sought to distance himself from the events in Basra in order to let the blame fall on Abadi alone. He has joined the side of the winning horse, that of Iran. Iraqi political parties had been divided into two camps: one supported by the US and led by Abadi and Moqtada, and another, led by Nuri al Maliki and Hadi al Ameri, defying the US and aligned with pro-Iran groups. The latter coalition had Faleh al-Fayyadi as their candidate and shared the goal of creating one big Shia coalition along with the Sunni. In the Basra events of last week 16 were killed and 195 wounded. 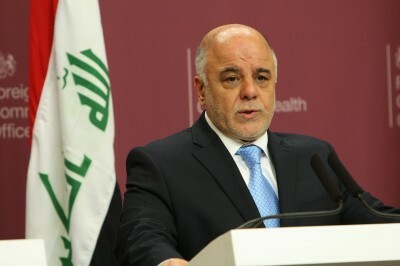 The prime minister ad interim Haider Abadi tried to control the riots by imposing a curfew and then lifting it three times. When the situation got out of hand, Moqtada al Sadr took his distance, pushing his MPs to request the resignation of his political partner Haider Abadi. Sources within Moqtada’s inner circle told me that Moqtada never promoted Abadi as the future prime minister even if he was supporting Abadi’s group. “the presence of pro-US or pro-Saudi Arabia elements among the demonstrators has contributed to the burning of ambulances, to attacking hospitals belonging to Hashd al-Shaabi, to torching the offices of all anti-Abadi and anti-Moqtada political groups, and to a direct attack against the Iranian diplomatic consulate. It is well known that the south of Iraq, mainly Basra, Amara, Kut, Nassiriyeh and other areas, was the source of men who joined al-Hashd and fought and defeated ISIS. This issue did not help Abadi and Moqtada since the majority support Hashd. Therefore, the act of attacking Hashd and the Iranian consulate backfired against them and forced Moqtada to abandon his political partner Abadi”. “Moqtada was never pro-US and never will be. He kept quiet about the US supporting Abadi since the US was also supporting him, as part of the US plan to control the government. Moqtada never supported Abadi as prime minister. Moreover, although Moqtada is against Iranian interference in Iraqi politics, he does not want to see Iraq used as a base for the US to hit Iran”, said the source. Moqtada al-Sadr learned that Hashd al-Shaabi had decided to stop any more riots in Basra, and that the group was ready to stop his militias if they refused to stand down and leave the streets. He wanted to avoid any direct clash with the experienced fighters of Hashd, and to avoid inter-Shia warfare. Moreover, he had learned of the Federal Court imminent decision to select Maliki-Ameri as the winning coalition, holding the most significant number of MPs. This combination of events led Moqtada to drop Abadi and take his 54 MPs to join the largest coalition. Overt sponsorship by the US and the Basra events have brought Abadi’s political carrier in Iraq to an end. Iran is pushing the Shia groups, including Sayyed Ammar al-Hakim and the al-Da’wa party to join in one single coalition, along with the Sunni. The Usama al-Nujeifi group saw the desertion of many of its MPs to the Maliki-Ameri coalition. The largest coalition is now expected to include many more than 165 MPs, and thus become eligible to choose the Speaker and his two deputies, the president and the new prime minister. The emergent large coalition will no longer need the support of the Kurds (42 MPs), who may also see some defections towards the Maliki-Ameri coalition. Masood Barzani will not be able to impose his 27 demands. The Kurds will no longer be the kingmaker. The rider Abadi fell off the US horse and Iran won influence in Iraq when its consulate was torched in Basra. Important questions remain: Is Iraq capable of avoiding a US embargo if it doesn’t abide by US sanctions on Iran? Will the US accept failure in its efforts to dominate Iraq? Will the US support Mesopotamia in its war against ISIS, or will it allow those who created ISIS to once again undermine the stability of the country?